Established in 1884 as the first pubic college for women in the United States, Mississippi University for Women (MUW) is one of the most architecturally distinguished campuses in the nation, including 23 buildings on the National Register of Historic Places. 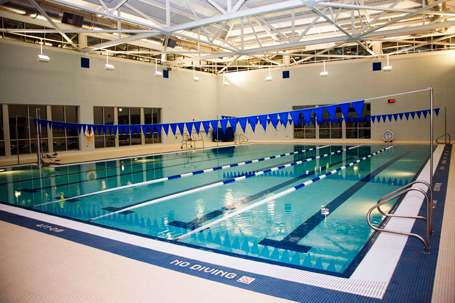 Destroyed by a tornado in 2002, the Emma Ody Pohl Physical Education Building was replaced in 2007 with two new buildings: the Emma Ody Pohl Building and the Marie Charlotte Stark Recreation Center with a combined cost of $13.5 million. Named after the two women who were fundamental in the development of physical education at MUW, the center has definitive academic and recreational components. The Pohl Building amenities include two basketball courts‚ a running track above the courts, and plenty of offices and labs for the university’s Health and Kinesiology Departments, which are housed in the building. Meanwhile‚ the Stark Recreation Center is equipped with a 5‚000 sq. ft. weight room‚ two racquetball courts‚ a 25-yard swimming pool with six lap lanes, and a large atrium lounge area with a big-screen TV and pool tables.